I have the privilege to attend the graduation ceremony at the Nottingham Campus for our 4th batch of Biomedical Sciences (BMS) students. This is our largest graduating cohort just yet. There were ten transfer students attending the UK graduation while the rest attended graduation in Malaysia. One of our BMS alumni, Yasmeen Zailan was also at the graduation ceremony as she completed her MRes with Dr Sally Wheatley, School of Life Science. Dr Pung Yuh-Fen and myself attended as part of the academic procession for the UK graduation ceremony which was held on 12 July at 1pm in the newly completed David Ross Sports Centre. The highlight of the ceremony was definitely when we heard the names of our graduating BMS students being called out, as they went up to the stage to receive their scroll. After the ceremony, we manage to take pictures with them. Their parents were very proud that their university lecturer came and join their children’s graduation. Photo session with some of the graduating students at the David Ross Sports Center, University of Nottingham, UK. It was an exciting and fulfilling journey to witness our students graduated in the UK ceremony. 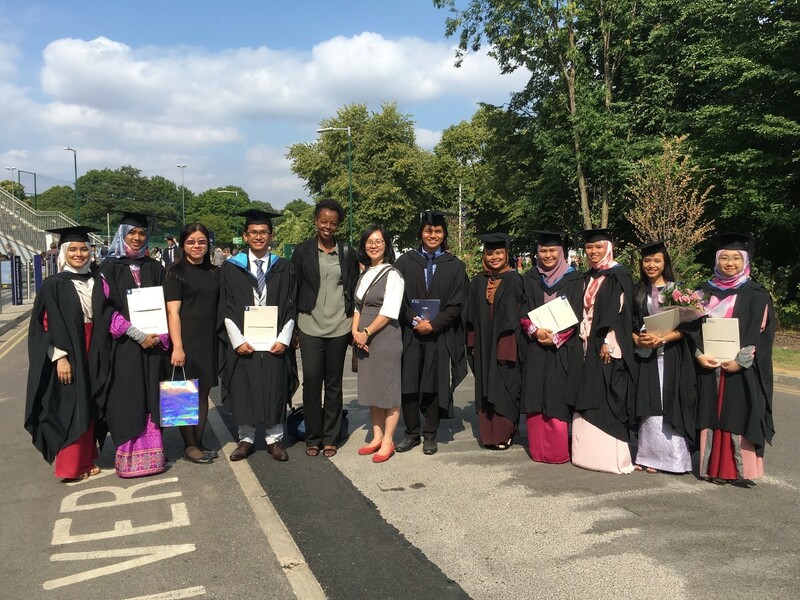 Our best wishes to our graduates, now part of the University of Nottingham Alumni.